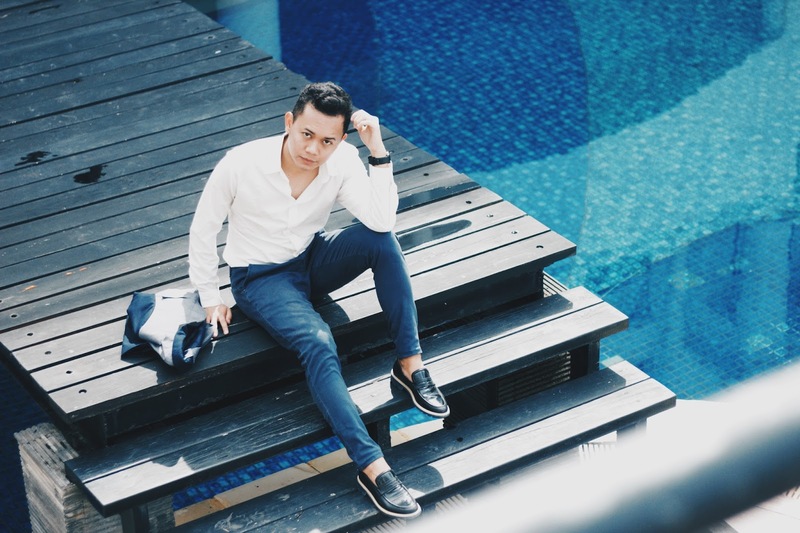 Blue is always become my another option when it turns to outfits because the colors are really classic and really match my style, especially the navy blue. as i already works and graduated for 1,5 years now, i decided to make my own business photoshoot which i can use for my CV and Linkedin Profile. well yeah, before they read your resume, the company will look straight on your profile photo on Linkedin or on your resume itself. 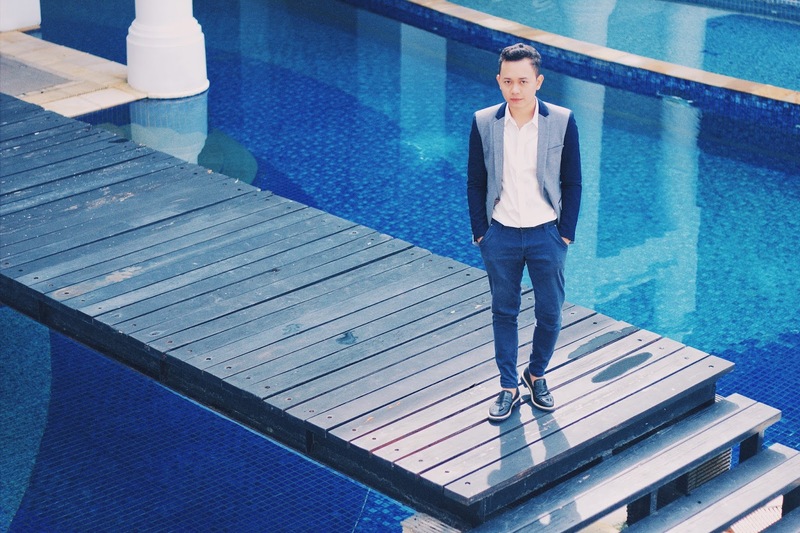 for this photoshoot, i'm wearing blazer and pants from zara, and white shirt from Topman and shoes from Pedro. Talking about business photoshoot and photo on your CV. some people might think that it's unnecessary to put the photo on your resume and some will do the same that i've done. basically it's depends on where you works and which job you take. but for me, as i works in fashion retail, i need a good photo besides my good performances. i need to show that i take the job really serious, and i represent the brand. yeah it's back on your recruiter team. You can always wearing blazer in many occasion, a party, a job interview, or maybe prom. so for the people who don't wear blazer that much, like me. 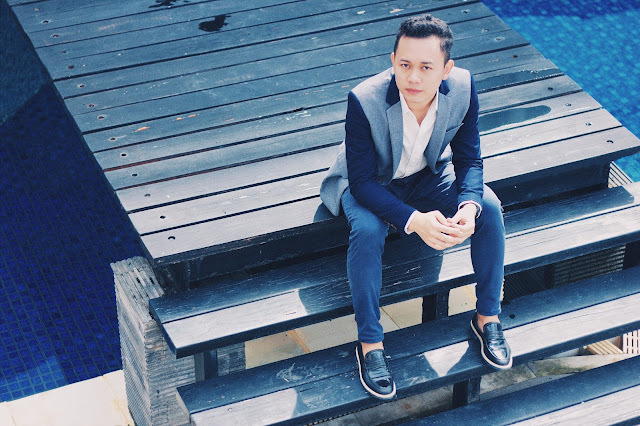 investing in one or two blazer which have a dark color will always important. you can choose between black, navy blue or grey. for me, i love black but i need another color which is i can use with my blue jeans, so i choose navy blue. yeah you can paired the blazer with jeans for your special occasion such as cocktails or date night.